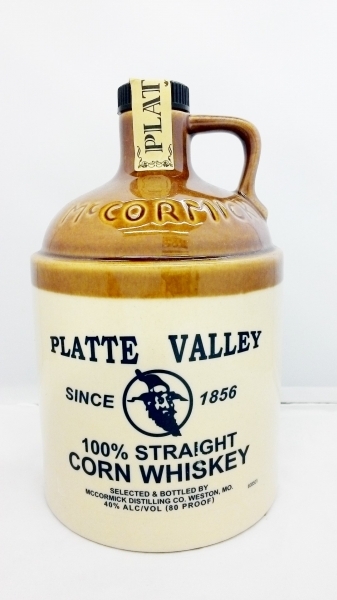 Platte Valley Corn Whiskey is fairly unique among corn whiskeys because it’s been aged for 3 years in used cooperage. Most corn whiskey you see on the market today, sometimes marketed as moonshine, is aged for 6 months or less. On the taste it's a little sharp but very pleasant and light. Just slips down the throat. The sharpness is just a tingling on the tongue.